A third of the season has passed, with the best two teams so far in 2018, the West Coast Eagles and Richmond, to face off in what has already been dubbed a grand final preview at Optus Stadium on Sunday. Before then, there are several quality matches to be played in Round 9, as the season continues to take shape and we continue to find out who are genuine premiership contenders and who’s only there to make up the numbers. Marred by injuries to key players, the Adelaide Crows and GWS Giants will be out to get their premiership aspirations back on track when they face the Western Bulldogs and North Melbourne respectively. Meantime, the Sydney Swans will be out to turn around their horrid form at home this season when they take on jet-lagged Fremantle at the SCG on Saturday night. And it will be an emotional time for Luke Hodge taking on his former teammates for the first time when his Brisbane Lions welcome Hawthorn to the Gabba on Sunday afternoon. Here is your full preview to Round 9. Round 9 kicks off with the Adelaide Crows welcoming the Western Bulldogs to the Oval for the second consecutive year. While the Crows haven’t had the start to the season they would have hoped for, they have still won five of their opening eight matches and are up there among the contenders for this year’s title. 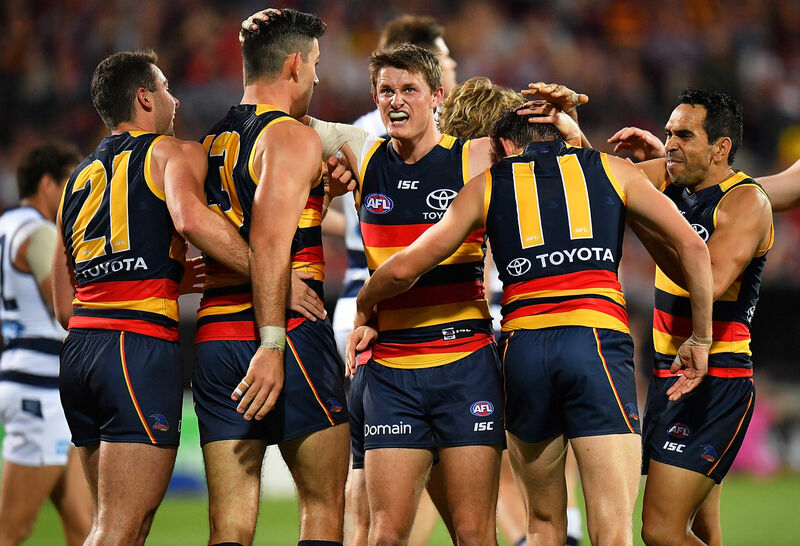 However, their campaign has been beset by injuries, with Brad Crouch to miss another week due to a persistent groin injury and Mitch McGovern set to miss two months due to an ankle sprain. As if that wasn’t enough, captain Taylor Walker remains in doubt, having missed two games already this season with hamstring and foot injuries. 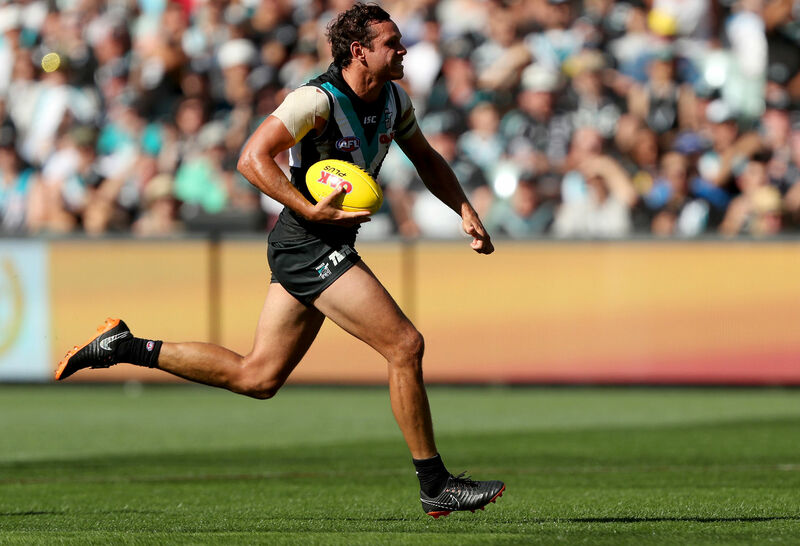 They blew a huge chance to go up 6-2 for the season when they went down to Port Adelaide by five points – it marked their first defeat against their cross-town rivals under coach Don Pyke, and first since early 2015. Now they face a Western Bulldogs side which has picked up form in the past three weeks, defeating Carlton, the Gold Coast Suns and the Brisbane Lions to square their season ledger at four wins and four losses. This came after heavy losses to the GWS Giants and West Coast Eagles in the opening two rounds led many to believe that the club’s premiership hangover would continue into this season. Now it remains – can Luke Beveridge’s men continue their impressive form against a wounded Adelaide Crows side in their own backyard? Prediction: Adelaide Crows by 28 points. The first match on Saturday afternoon sees North Melbourne host another wounded team in the GWS Giants in Hobart. 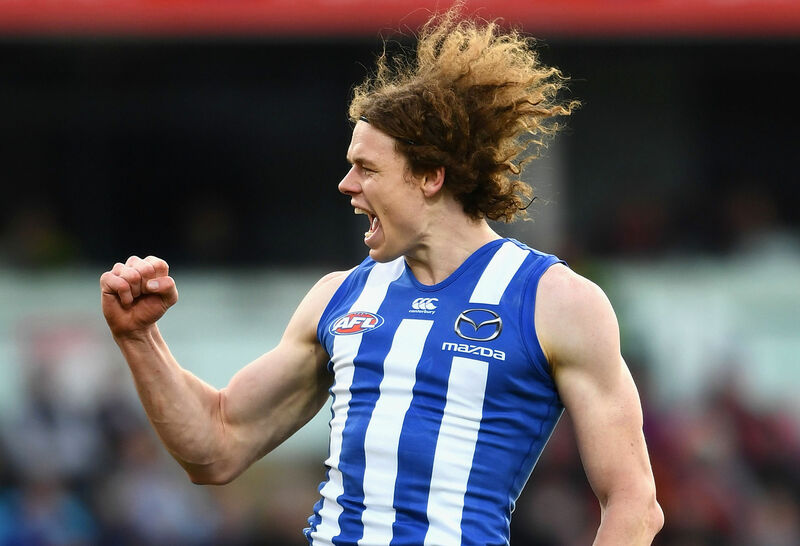 Touted as bottom four fancies at the start of the season, the Roos have instead emerged as the dark horses of the competition, notching up wins over Hawthorn and the Sydney Swans, as well as take the fight up to reigning premiers Richmond at home last week, going down by ten points. Chief tagger Ben Jacobs continued his superb individual form in 2018, limiting reigning Brownlow Medallist Dustin Martin to his lowest disposal total in over twelve months, this coming weeks after he restricted this year’s favourite for the medal, Tom Mitchell, to his lowest output for the year. Now the question remains – who will he be assigned to this Saturday afternoon against the Giants? Not Josh Kelly, who looks set to miss another week, while co-captain Phil Davis remains in doubt after copping a knee to the head in the club’s 25-point loss to the West Coast Eagles at home last week. While their skills were up from their shocking loss to the Geelong Cats in Round 7, poor ball use again proved to be their downfall as they lost at home within the first ten rounds of a season for the first time since 2014. Those within the inner sanctum of the club have come out and said that confidence within the team is down, and with other key players in Tom Scully and Toby Greene still to return from their injuries, it looms as another long day in the office for Leon Cameron’s men. Prediction: North Melbourne by 18 points. For the second straight year, the AFL will travel beyond the boundaries when the Gold Coast Suns and Port Adelaide reprise their Shanghai showdown, this time on a Saturday afternoon. Both teams have flown out of Australia to prepare for the clash, which with a reconfigured stadium should draw more than the 10,118 spectators who attended the corresponding fixture last year. The Power won that match by 72 points, and further registered the largest winning margin of anyone in the 2017 season when it won by 115 points in their most recent clash, at the Oval in Round 23. It has become clear that the club hasn’t forgotten their two-point loss to the Suns from Round 5, 2011, a result which drew criticism and ridicule from all corners of the AFL and had many fearing for the demise of the club. Indeed, the Power have not lost to the Suns since and will start favourites to continue their otherwise dominant record against the men from the holiday strip on Saturday afternoon. Last week they came from nearly five goals down to stun their cross-town rivals the Adelaide Crows, with Steven Motlop kicking the match winning goal inside the final 40 seconds to see the club end a five-match winless streak in Showdown matches dating back to mid-2015. The Suns, on the other hand, are starting to feel the strain of eight straight matches away from the Gold Coast, where the Commonwealth Games wrapped up just one month ago. The upside though is that this is the last match of their horror first half of the season, after which is followed by a much needed bye and then their first true home game of the season against the Geelong Cats in Round 1. Last week, they proved to be no match for Melbourne, going down by 69 points in front of only 6,060 fans at the Gabba – marking the lowest-ever attended AFL premiership match in the sunshine capital. Against Port Adelaide nearly 7,500km away from home, there will be no respite. Prediction: Port Adelaide by 50 points. Another horror week could loom for Essendon when they face the Geelong Cats in the annual Country Game at the MCG on Saturday night. The Bombers have been the target of criticism and ridicule in the past few weeks following dismal losses to Collingwood, Melbourne and Hawthorn, in which their effort came into serious question. Key forward Joe Daniher, who is out with injury, also came under fire for his poor individual form this year, none more so than when he went goalless against the Dees at Etihad Stadium in Round 6. But the nadir of their latest form slump came last week when it lost to the previously winless Carlton by 13 points, which has confirmed the suspicions of many that the club has indeed gone backwards. Already there have been ramifications, with assistant coach Mark Neeld dismissed after nearly three-and-a-half years at Windy Hill; this of course came after his ill-fated stint as Melbourne coach in 2012 and 2013, which netted just five wins from 33 matches. There will be no respite this week when they face a Cats side which is starting to gel with a star-studded midfield featuring Gary Ablett Jr, Joel Selwood and Patrick Dangerfield, who between them have won three Brownlow Medals and numerous best-and-fairests. The Cats notched up their fifth win of the season last week by defeating an inaccurate Collingwood side at the MCG, and remain up there among the contenders for this year’s flag. They’ll also get Tom Hawkins back after his one-match suspension for intentionally making contact with an umpire in their Round 7 win over the GWS Giants, and this could mean another long day in the office for the Bombers, who won the corresponding match last year by 17 points. Prediction: Geelong Cats by 42 points. After an impressive eight-point win over Hawthorn at the MCG, led by rookie Ben Ronke’s seven goals (which unsurprisingly earned him the weekly Rising Star nomination), the Sydney Swans return home to face a Fremantle side which has been anything but dismal on the road in 2018. For the second time in three weeks John Longmire’s men had to come from behind at three-quarter-time against quality opposition in Victoria to win, doing so against the Geelong Cats and the Hawks on either side of a disappointing two-point loss to North Melbourne at home in Round 7. Ronke became the first Swan other than Lance Franklin to kick at least seven goals in a game since Adam Goodes kicked eight against this week’s opponent, Fremantle, in Round 19, 2008. He also became the youngest player to kick at least seven goals in a match at the MCG since Jeremy Cameron did so against Collingwood in 2013, and also the first to kick seven and record ten tackles in an AFL match. But as impressive as the Swans have been on the road, they’ll want to turn around their inconsistent form at home against the Dockers, who have lost their three matches away from home by an average of 52.67 points. Their last trip to Sydney ended in a 104-point loss to the Swans in Round 21 last year, marking this their heaviest defeat under coach Ross Lyon, who has the continued backing of his board after sexual harassment allegations were levelled against him in recent weeks. Last Saturday night, they put a week from hell behind them to beat St Kilda by 30 points at home, having had to withstand a furious third quarter fightback from the struggling Saints to do so. As tough as facing the Swans at the SCG may be, at least Fremantle won’t have to deal with Lance “Buddy” Franklin, who will again be missing for the hosts as he continues his recovery from a heel injury. However, his absence, along with the likeliness of that of Dan Hannebery’s for possibly another week, should not stop the Swans from claiming a runaway win on Saturday night. Prediction: Sydney Swans by 34 points. The other match on Saturday night will see St Kilda try to break a seven-match winless streak when they host Collingwood at Etihad Stadium. Inaccuracy has been a season-long issue for the Saints, who since defeating the Brisbane Lions in Round 1 have kicked more behinds than goals in their seven subsequent matches. The closest they have come to notching up another win in that period was when they came from 18 points down to force a 73-all draw against the GWS Giants in Round 5. Perhaps they will get their chance against a Collingwood side which has been hot and cold in season 2018, splitting their eight matches evenly, the best of their wins being over the Adelaide Crows by 48 points at the Oval. Inaccurate kicking proved to be their downfall as they lost to the Geelong Cats by 21 points at the MCG last Sunday. Prior to that, they had won three straight matches, with wins against bitter rivals Carlton and Essendon coming on either side of the aforementioned win against the Crows, as well as against the Brisbane Lions in a high-scoring heartstopper at the Gabba in Round 7. They were also far from disgraced against reigning premiers Richmond in Round 6, but were also disappointing against Hawthorn and the GWS Giants in the opening two rounds. Recent history is also against the Pies, who have lost their last two against the Saints, one each at the MCG (2016) and Etihad Stadium (2017). Despite this, the Pies should take the points in this contest. Prediction: Collingwood by 14 points. The only match to be played in Melbourne on the Sunday will see Carlton attempt to notch its second consecutive win when they face a red hot Dees side at the MCG. After recording their worst start to a season in club history, the Blues lifted in the final quarter to defeat Essendon by 13 points last Saturday at the MCG, and further plunge their bitter rivals into crisis in the process. Their hopes of upsetting the Dees has been boosted by the fact that both the Curnow brothers have avoided suspension for making careless contact with an umpire, instead both copping $1,000 fines for their offences. Simon Goodwin’s side have won their last three matches to be sitting on five wins and three losses for the season, and with another win this Sunday afternoon they can take another step up towards making the finals for the first time since 2006. They could not have played more impressively than they did against the Suns last Saturday night, winning by 69 points in what was their second trip to the Gabba for the season, after previously defeating the Brisbane Lions by 26 points in Round 2. Co-captain Jack Viney isn’t too far away from returning to the side, having been sidelined by a foot injury since Round 21 last year. While the seniors were running amok in Brisbane, the son of former club captain Todd played his first game at any level for the year in the VFL last week. 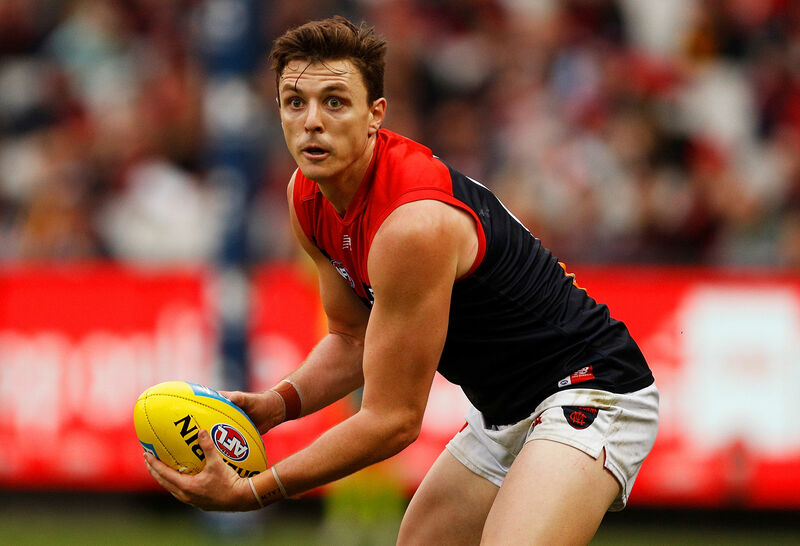 Whether he returns to the senior line-up this weekend or not remains to be seen, but regardless, expect the Dees to get the job done against the Blues this Sunday afternoon. Prediction: Melbourne by 20 points. For just the second time in the past decade, Hawthorn will step foot onto the Gabba to face the Brisbane Lions, and this Sunday, they’ll also be facing former much loved club champion Luke Hodge for the first time. After 305 games in the brown and gold, we were all made to believe that he had played his final AFL game when he was chaired off Etihad Stadium following the Hawks’ nine-point win over the Western Bulldogs. However, what turned out to be a joke between the two-time Norm Smith Medallist and Brisbane Lions coach Chris Fagan became non-fiction when last year’s wooden spooners convinced him to play on for two more seasons. Hodge happily accepted the Lions’ offer and here he is, continuing to run around again and providing some good leadership and experience to a side which, despite their best efforts, remain the only winless side in 2018. Last week, they trailed for the entire game against the Western Bulldogs, but it was their willingness to fight that saw them go down by only 14 points. Prior to that, they had suffered agonising losses against Port Adelaide, the Gold Coast Suns and Collingwood, losing each by seven points or less. Hawthorn, on the other hand, are coming off their third loss for the season, an eight-point loss to the Sydney Swans at home in the fourth consecutive match between the two rivals to be contested by a single figure margin. In the aftermath of that match, coach Alastair Clarkson admitted that the Swans defenders got away with “blue murder”, suggesting that they had used illegal tactics against his forwards. They’ll be primed to bounce back, though, having not lost to the Lions since 2009 and not at the Gabba since 2007; but given its lack of matches in Queensland as of recent, for most of the playing side it will be either their first or second match at the Brisbane Cricket Ground. While facing their former hero Luke Hodge will prove to be an emotional affair, on the field the Hawks should get the job done. Prediction: Hawthorn by 24 points. They say to “save the best for last”, and that’s exactly what the case will be when second-placed West Coast welcomes reigning premiers and top-placed Richmond to Perth this Sunday afternoon to finish Round 9. A massive crowd is expected to fill Perth Stadium to watch the two best sides of the season so far go head to head in what many have billed as a potential grand final preview. In one corner you have the Eagles, who despite being touted by many as wooden spoon favourites at the start of the season have instead won seven consecutive matches since dropping their season opener against the Sydney Swans at home in Round 1. 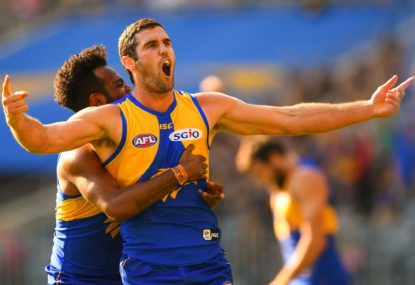 Last week, they returned to the scene of their semi-final thrashing by the GWS Giants, turning the tables to secure a 25-point victory, doing so without suspended ruckman Nic Naitanui, as well as injured key players Jeremy McGovern, Luke Shuey, Dom Sheed and Lewis Jetta. Should they beat the Tigers this Sunday afternoon, it will mark the first time since 2005 that they have won eight matches in succession, and also announce themselves as genuine premiership contenders in 2018. Damien Hardwick’s men have also had just the one solitary loss for the season, and it came in their only match outside of Melbourne in the first eight rounds when it lost to the Adelaide Crows by 36 points at the Oval. Apart from that, the Tigers have adapted well to the pressure of being the defending premiers, something that eluded the Western Bulldogs in 2017. But they haven’t had everything go their way so far; last week, they were pushed all the way by a plucky North Melbourne side at Etihad Stadium, winning by 10 points with reigning Brownlow Medallist Dustin Martin producing his worst individual performance in over twelve months. The form of the West Coast Eagles and Richmond makes this match one you cannot miss, and it wouldn’t be surprising if both sides cross paths in September this year. At stake is the opportunity to finish Round 9 in top spot on the ladder – and also probably assume favouritism for this year’s flag. At home, I think the Eagles will rise to the challenge of taking on the premiers and doing so with the utmost confidence within the inner sanctum. Prediction: West Coast Eagles by eight points.